5 small 2 oz. bottles of misc. 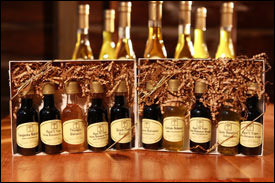 Balsamic vinegars are packed in a cute little gift box for your favorite chefs so they can try different balsamics in their creations.